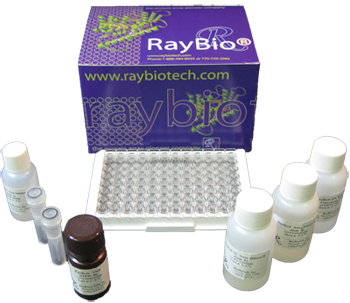 RayBio® Human ANGPTL7 ELISA Kit for Serum, Plasma, and Cell Culture Supernatants. 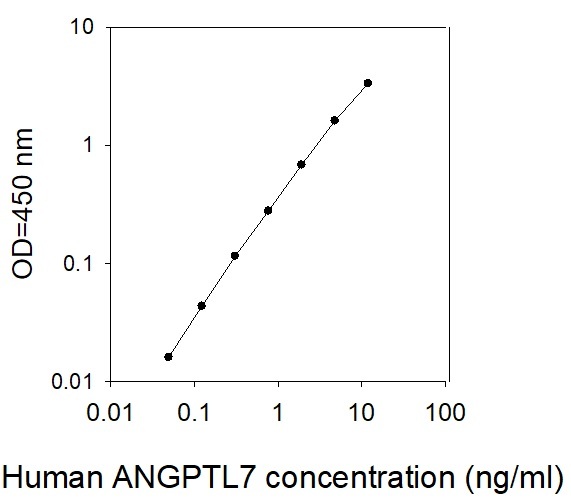 Specificity: This ELISA antibody pair recognizes Human ANGPTL7. NIH3T3 cells were untreated or treated with 50 ng/ml PDGFBB for 10 min. Cell lysates were analyzed using this phospho ELISA and Western Blot.